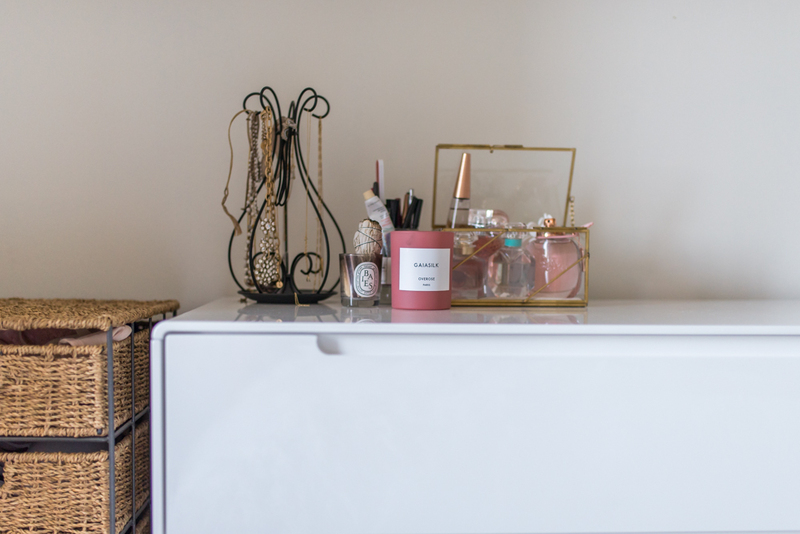 My Bedroom Makeover with Structube | La Petite Noob | A Toronto-Based Fashion and Lifestyle Blog. I always had the mentality that we didn't need to invest in our bedroom furniture because we hadn't found our 'forever' space yet. 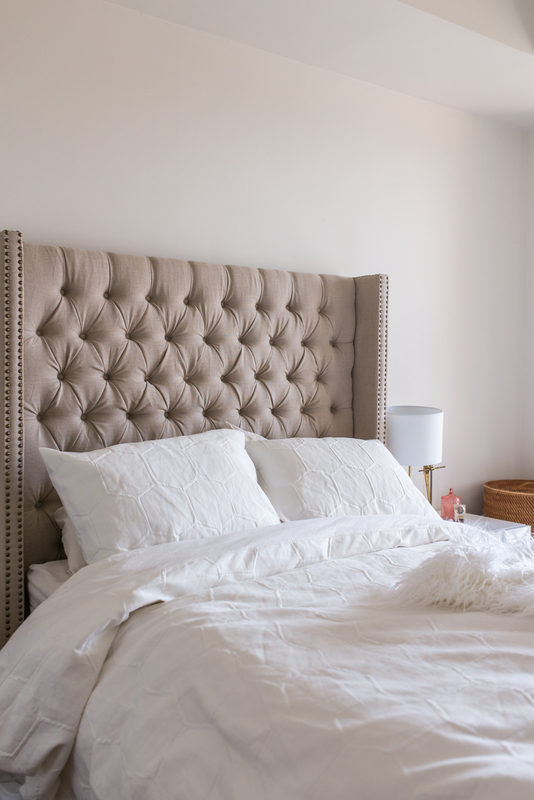 While Brian and I had collected timeless furniture that have traveled with us through all of our moves to different apartment and condos, we never payed any mind to our bedroom - heck, we were still sleeping on a bed that Brian had from his University days! After years of neglecting our bedroom, and closing the door when we had guests over, I finally decided that enough was enough. I truly wanted a comfortable sleeping space and a bedroom that made me feel proud, rather than embarrassed. Enter Structube. I had always admired their clean and modern furniture designs since I was turned onto them a couple of years ago. To be perfectly honest, I always thought that they were out of my price range; imagine my surprise when I found out that their designs and pieces are incredibly affordable! For real! My entire bedroom overhaul was achieved for less than $2000 worth of furniture and accessories. That includes taxes and delivery! Yes, Structube does deliver, which is a huge benefit when you live in a big city. Every time I step foot into my beautiful new bedroom, I can't believe it. Without further ado, here is our gorgeous new bedroom that has been completely overhauled with furniture and accessories from Structube. While I still have work to do with wall art and little décor details, it a huge improvement from what was our 'before.' Stay turned for a video soon on the complete before and after. To me, the VERSAILLES bed is a total game-changer. I went with the colour linen, and the light colour has completely opened up the space. The frame sits fairy high, which is amazing since I have the room to store clothing and shoes under the bed. There also is no need for a boxspring with The Versailles bed which I really appreciate. I truly feel like royalty being able to go to sleep in this bed every night. I also picked out two new VILLA side tables. I love how there are two drawers, which means that I have ample storage space - a necessity when you live downtown Toronto. 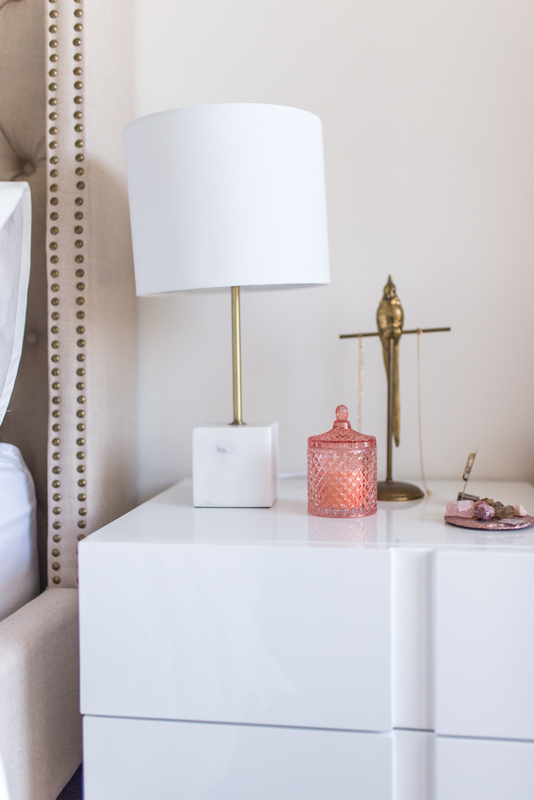 I decorated the table with this beautiful, marble ELENA table lamp, a cute SRILA pink candle and, of course, my collection of crystals for good energy. 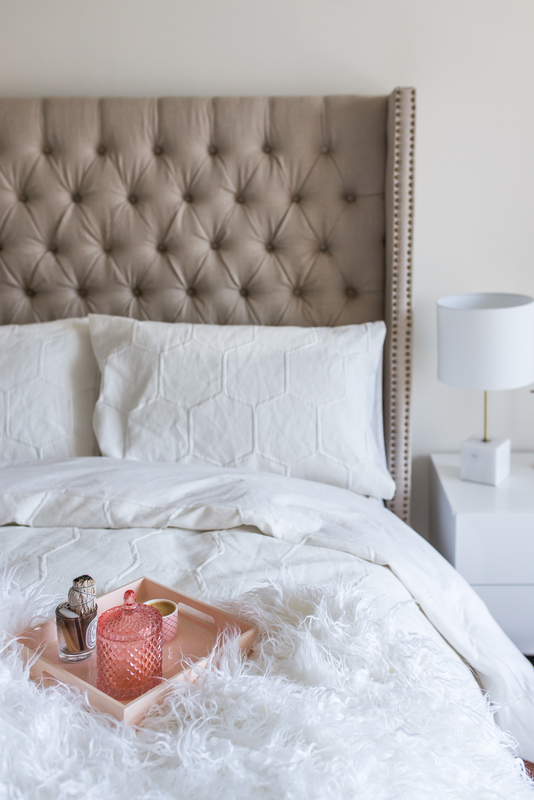 I also wanted to start fresh with new bed linens, This beautiful honeycombed MINKY duvet cover adds just the right amount of texture, and I love how it's accented with a POLAR faux-fur white throw. I also chose to lighten up our bedroom's aesthetic by replacing our old, dark dresser with a lighter, more modern chest of drawers. This SNOWER chest has six separate drawers, which makes it easy to share the space with Brian. I also love how the lighter colour really opens up the room. It's amazing how changing a room can totally transform the energy in your space. I'm so happy with our new bedroom thanks to Structube and can't believe that it took us so long to do a room makeover - we really should have done it sooner! What do you guys think? Have you ever put off investing in a space because you rent? Let me know! Thank you to Structube for providing us with these beautiful pieces. All thoughts and opinions are 100% my own. 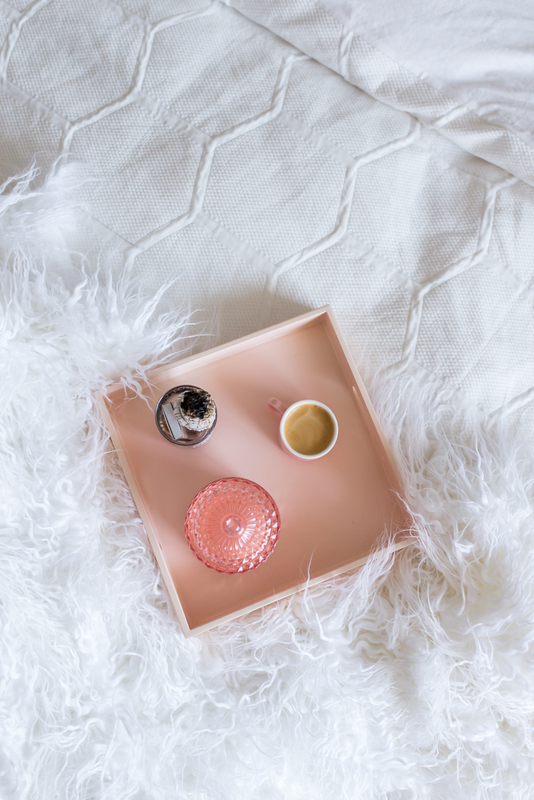 oh my gosh a throwback to the classic Joëlle tray on bed shot!!! I missed these!!!! The bedroom looks stunning. So classic, so fresh and so clean! I love Structure too. Thank you so much my girl! And yes, the tray shots are back, lol!